What is a MAC address after all? A device’s MAC address (Media Access Control address) is a unique sequence of numbers assigned to a network interface controller. It’s an identifier communicating at the data link layer of a specific network segment. For the majority of IEEE 802 network technologies, including Ethernet and Wi-Fi, MAC addresses function as network addresses. Thus, MAC addresses will be used in one of the sublayers of the medium access control protocol. A network node may have a few network interface controllers (NICs), and each of them will have its own unique MAC address. 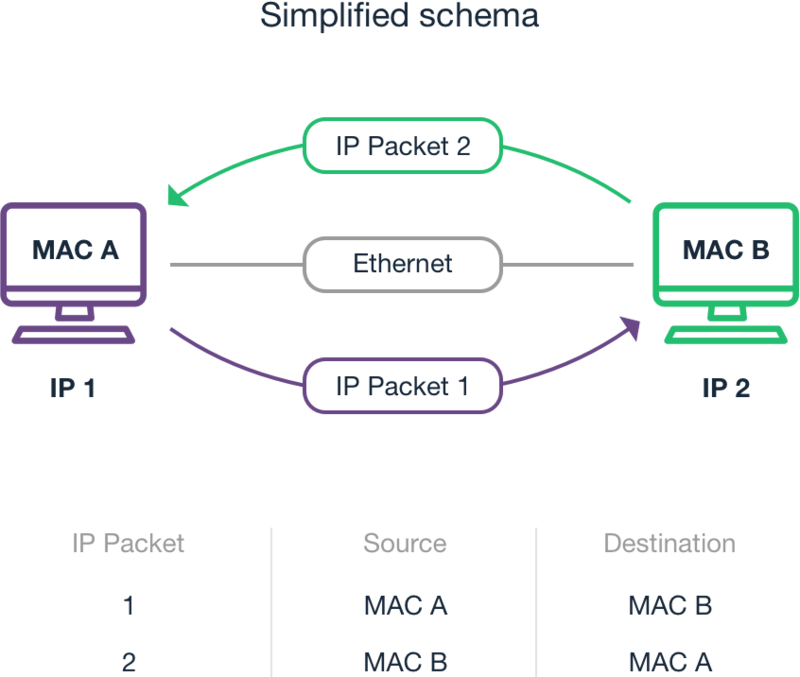 More sophisticated network devices such as routers and multilayer switches could even require several permanent MAC addresses. The manufacturer of a network interface controller (NIC) assigns MAC addresses which are stored in its hardware, such as a card's read-only memory or other firmware. In that event, a MAC address usually encodes the manufacturer's registered identification number and could be called the burned-in address (BIA). It may also be referred to as an EHA (Ethernet hardware address), hardware address or physical address, unlike a programmed address, in which the host device issues commands to the NIC so as to use an arbitrary address. The original IEEE 802 MAC address is derived from the original Xerox Ethernet addressing scheme. This 48-bit address space potentially contains 2^248 or 281,474,976,710,656 possible MAC addresses. How to find my MAC address on Mac OS X? What is a 36-bit Organizationally Unique Identifier (OUI-36)?